A Stylish DIY Dinner Date At Home | Havenly's Blog! Ah, Valentine’s Day. Nothing says romance like driving around the block ten times looking for parking, or waiting 30 minutes for the table you reserved a month in advance. Wait, you did make reservations, right? 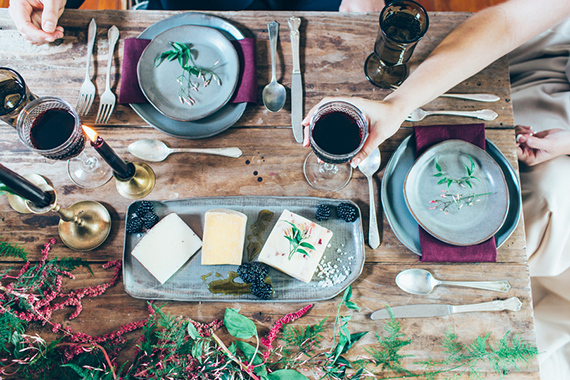 Never fear – we’ve got you covered with a few tips that will help you put together a stylish DIY dinner date at home. The object of your affections will be swooning into the homemade risotto you’re going to make. Wait, you do know how to make risotto, right? What do fancy restaurants have in common (aside from a $12 side of mashed potatoes)? Dim lighting. Kill the overhead canned lights — instead, use accent lighting like sconces or buffet lamps. 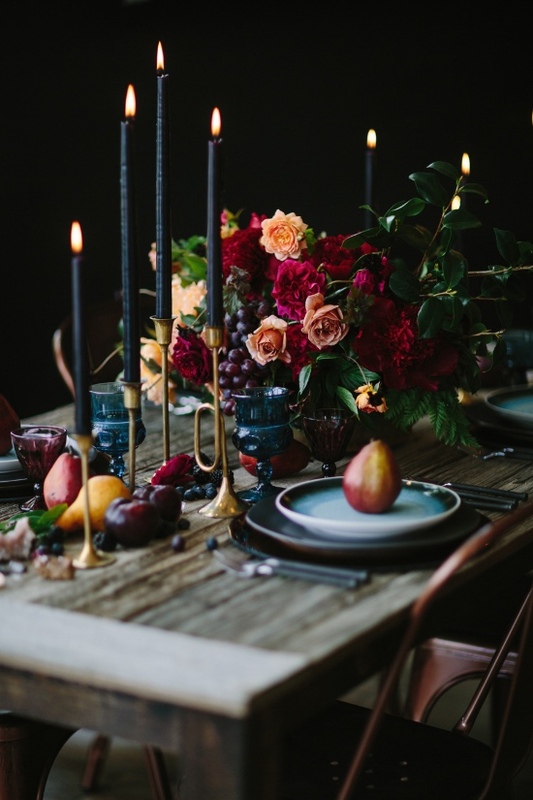 Incorporating tea lights or taper candles in your centerpiece also add warmth and a little twinkle to the space. For added drama, choose tapers in non-conventional colors, like black or aubergine. However you decide to light your space, remember: nothing says “mood killer” like fluorescent lighting. Sure — long stemmed red roses are classic, but how about scoring some points for originality with something a little more unique? White hydrangeas, gladiolus, and ranunculus are just as romantic, but less cliched. 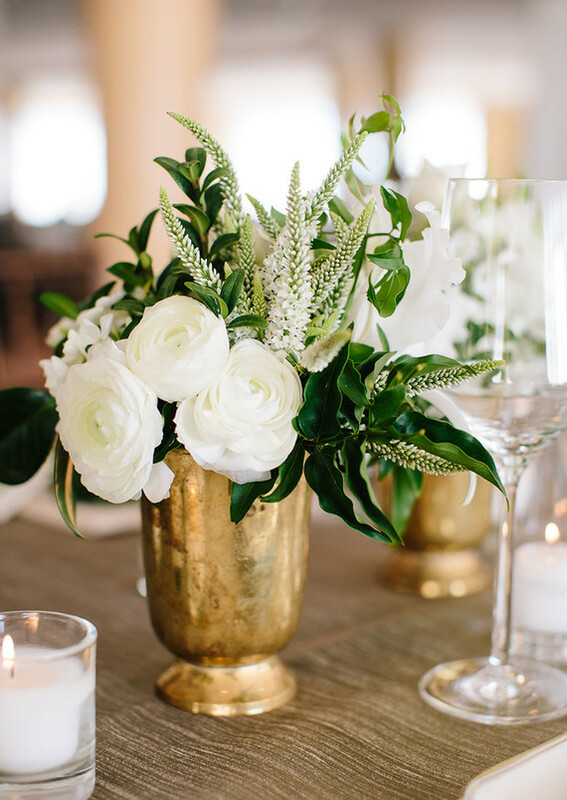 Combining your blooms with greenery stems like eucalyptus and fern leaves will give the arrangement a lush look. 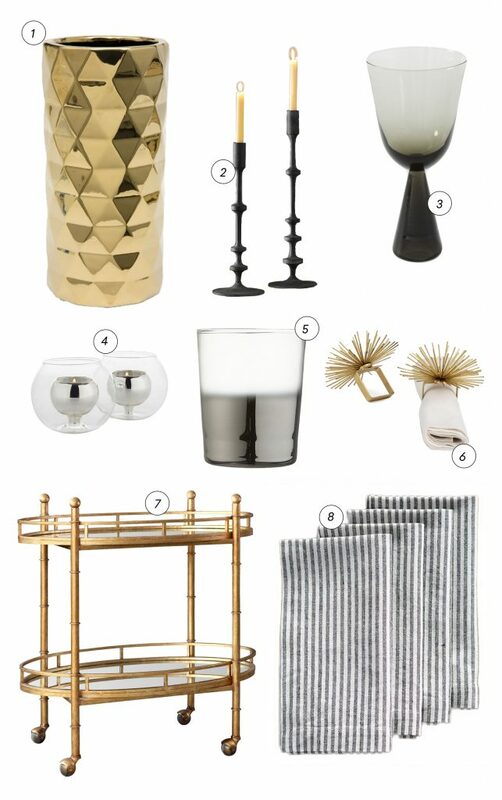 Opt for a vase with metallic accents for a glam look or choose a mason jar for a more rustic vignette. Do not, we repeat, do not serve your romantic dinner on an naked table with paper napkins! 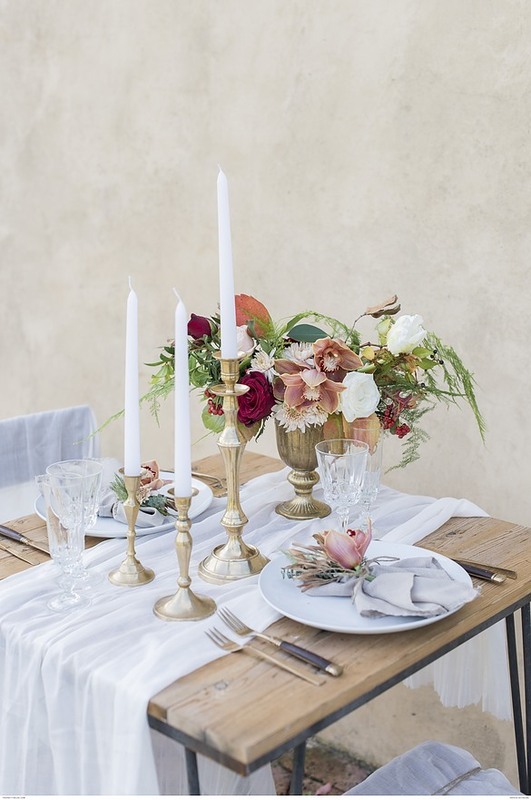 Cloth napkins, place mats, and table runners are all relatively inexpensive ways to make a bare table immediately look more upscale. Something as simple as a linen runner can make your regular kitchen table feel like seat at a five star restaurant. Feel like going for extra credit? Grab a little twine to wrap around your napkin and tuck a sprig of rosemary or a small flower in the bundle for a bit of added charm. Whether you decide to splurge on a bottle of Veuve or you’re keeping it simple with some Two Buck Chuck, don’t overlook your bar set up. 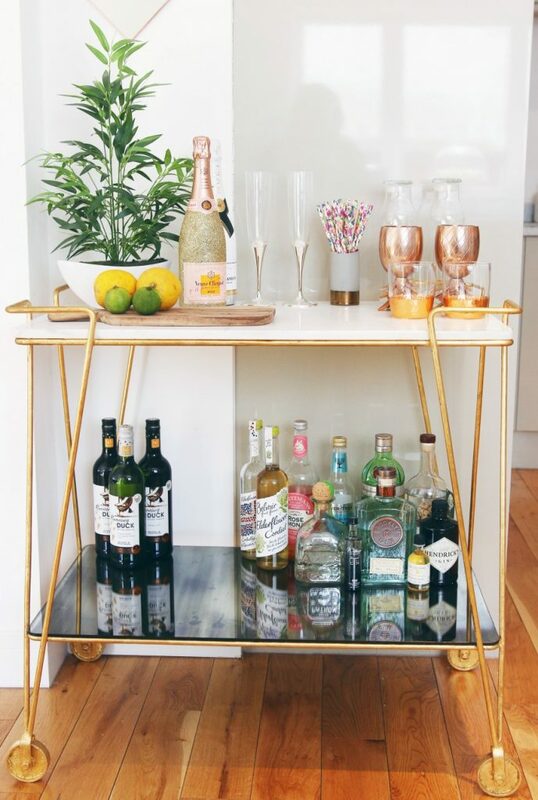 A well-styled (and well-stocked) bar cart is a welcome alternative to $16 cocktails — and it will impress the heck out of your date. Want to take your cocktail game one step further? Swap out the basic clear glass stemware for something with a little more style, like a smoky tinted wine glass or a metallic accented tumbler. Need some help putting together your DIY dinner date? We’ve got you covered. Ready to make your home a space that’s ready to impress at any given moment? Make a date with one of our designers and get ready to meet the room of your dreams.